Not Timely Enough: Township’s Chapter 91 Motion to Dismiss Denied after Request Sent too Late - McKirdy, Riskin, Olson & DellaPelle, P.C. Chapter 91 has proved to be an effective tool for municipalities to protect themselves from tax appeals. Chapter 91 provides that when a municipality sends a request for income and expense information to a property owner pursuant to the statute, the owner must respond within forty-five days. If the property owner does not respond within the forty-five days, then the municipality may file a motion to dismiss the appeal. Metz Family LTD. Partnership v. Township of Freehold is unique in that Freehold Township is in Monmouth County, which is a part of the Assessment Diversionary Program (ADP). The ADP was created back in 2013 as a pilot program by the New Jersey legislature in order to help municipalities calculate their budgets for the coming fiscal year. The ADP pushes the deadline for the assessor to place assessments on the tax rolls two months earlier from January 10 to November 1. The plaintiff in this case did not dispute the fact that it did not answer the Chapter 91 request. Rather, it argued that since it received the request on October 10, 2017, after it was mailed on October 5, it was too late for the assessor to utilize the requested information in calculating the property’s assessment by November 1. October 5 would put the forty-five-day limit after the November 1 deadline. The township, however, argued that the appropriate deadline was May 5, the day for the final assessment list to be submitted to the county tax board following the conclusion of the tax appeals. Tax Court Judge Mala Sundar denied the motion to dismiss. Sundar found that the income and expense information requested under Chapter 91 is meant to help assessors determine the value of the property. Once the initial assessment is placed on the tax rolls by the assessor on November 1, the assessor may not change the assessment unless it is appealed by the plaintiff or the county board disagrees with the assessment and gives the plaintiff thirty days’ notice of the change. Since the forty-five-day period in this case extended beyond the November 1 date the assessor could not have utilized the income and expense information in formulating the assessment even if the owner had responded. Judge Sundar disagreed with Freehold’s argument that under New Jersey law they were free to change the assessment up to May 5. Judge Sundar however did warn that not completing the Chapter 91 request ordinarily would result in the loss of the right to appeal. Under most circumstances, the owner must respond within forty-five days. 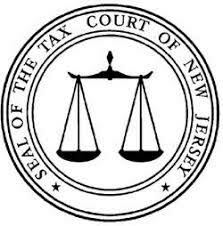 The Tax Court’s opinion in Metz Family LTD. Partnership v. Township of Freehold may be found here. The author acknowledges the assistance of William Olson, a summer intern at McKirdy, Riskin, Olson & DellaPelle, in preparing this article. Mr. Olson is a recent graduate of Catholic University and a member of the Class of 2021 at Rutgers Law School.